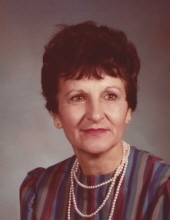 It is with sadness that the family of Helen Lee Bradford Johnson announces her passing on March 27, 2019 in Broken Arrow, Oklahoma at the age of 90. Helen was born in Shawnee and grew up in Pond Creek. She attended Business College in Enid, where she met and married David H. Johnson. They moved to Stillwater in 1965, where they raised their family and were married for 62 years. Helen worked for Stillwater High School in the library for many years. She was a member of the First Baptist Church of Stillwater. She is preceded in death by her husband David H. Johnson, her brother Bruce Bradford and sister Katherine Reynolds. Lovingly remembered by her children Teresa Knudsen and her husband Mogens of Denmark, David W. Johnson and wife Rachel of Edmond, Tania Hill and husband Michael of Broken Arrow and Tracy Cox and husband Jim of Kansas City and her brother William Bradford. She is also survived by ten grandchildren and thirteen great grandchildren. A family memorial service will be held in July at Fort Sill National Cemetery. To send flowers or a remembrance gift to the family of Helen Lee Johnson, please visit our Tribute Store. "Email Address" would like to share the life celebration of Helen Lee Johnson. Click on the "link" to go to share a favorite memory or leave a condolence message for the family.